Prodas 724 is a general purpose Product Assembly grade which has excellent adhesion to a wide range of substrates. BAM 1279 has a high molten tack and versatile adhesion to the plastics and plastic coated materials that are frequently used for wrapping or packing food products. BAM 997 is a high performance general purpose woodworking hot melt. BAM 997 combines high heat resistance with good low temperature performance. BAM 776W has been found to give good adhesion to a range of paper and cover stocks. BAM 776W has a high level of molten tack ensuring positive cover placement and adhesion. BAM 198 gives good adhesion to a wide variety of paper and cover stocks. The high molten tack of this grade reduces the possibility of cover slip when binding narrow books on high speed machines, yet the combination of viscosity and long open time allow it to perform well over a wide range of machine speeds and operating conditions. BAM 1812 is a fast setting high tack hot melt, which has been specifically formulated for carton and case sealing machines. 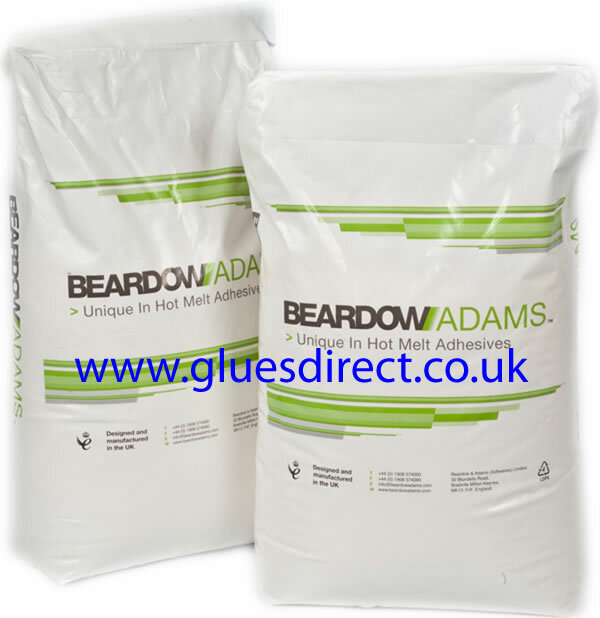 Suitable for deep freeze applications down to -40�C depending on board type. BAM 795E is a high performance general purpose woodworking hot melt. BAM 795E combines high heat resistance with good low temperature performance. BAM 508 has a long open time combined with a high molten tack so can be used on bottles, jars etc of varying sizes, at various speeds and under various ambient conditions.